A woman who prosecutors said stabbed two young children to death during an "exorcism" is not criminally responsible for her actions, a report submitted to court said Friday. 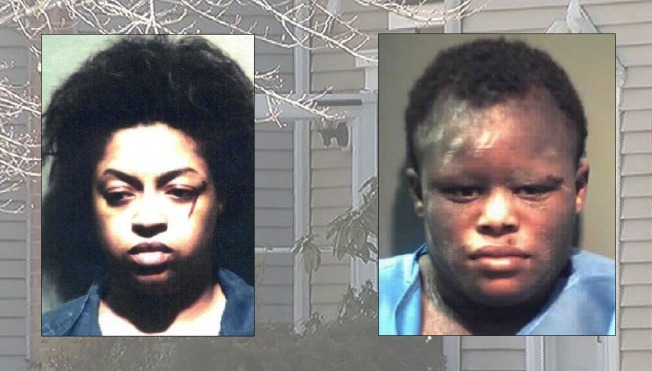 Prosecutors say Monifa Sanford and Zakieya Avery killed Avery's 1-year-old and 2-year-old children Jan. 17 in a Germantown townhouse in what police called an attempt at an exorcism. The duo also is charged with wounding Avery's older children, a 5-year-old girl and an 8-year-old boy. The court has sought psychiatric evaluations of both defendants. Friday, a psychiatric facility that examined Sanford submitted a report to court that said Sanford could not be held criminally responsible for her actions. Avery and Sanford told investigators that they believed evil spirits jumped between the bodies of the children and that they needed to perform an exorcism to drive the demons out, said Montgomery County State's Attorney John McCarthy earlier this year. When being questioned by police, the women told investigators that they tried multiple methods to remove the presence of demons from the children, progressing from attempting to break the neck of the youngest child, to strangulation, to stabbing. A neighbor called 911 after seeing a car with an open door and a knife that appeared to have blood on it. The timing of that 911 call likely helped saved the lives of the older children, police said. 911 Calls Released in 2 Md. Children's Deadly "Exorcism"
The women face a sentence of life in prison if convicted.